If it ain't fun, it won't get done! (That's my new motto.) So, just for the pleasure of it, I started re-reading Quentin Bell's biography of Virginia Woolf, who is one of my heroines. 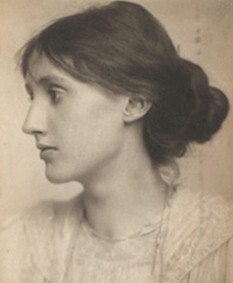 Woolf spent a great deal of her life in bed, under enforced rest, because of her psychiatric problems. She was not even allowed to read or write - which to me seems grounds enough for going stark, staring mad, but that was the treatment then. Reading about the aftermath of her violent psychotic spell of 1915-16, I was struck that I am in the same position, though for different reasons. Out of this period of isolation and forced rest came the genesis of her greatest works. She was obsessively productive throughout her life, generating a vast body of work including essays, hundreds of book reviews, short stories and plays, as well as her famous diary. She was driven by goals, and she didn't take it happily when she was forced to stop work. But out of the resting came some of the greatest novels in the English language. While I am not suggesting that I am on a par with Woolf, its a model I think I need to emulate. I have learnt a hard lesson in recent weeks of consistent illness, and this time I have to take it on board. I can't go on like this. I have to find another way. Resting is too important. And perhaps taking a leaf out of VW's doctors' book is the answer.